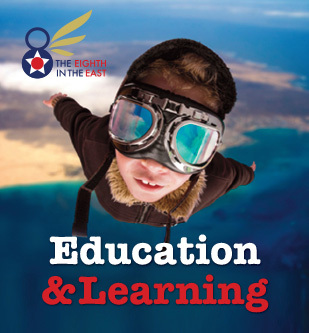 The Eighth in the East learning pack is a focused social history study that aims to address the cultural and landscape impact that the US 8th Air Force had on the East of England during the Second World War. Using original photographs, film footage, eyewitness accounts, oral histories, diaries and letters, the Eighth in the East learning pack has pulled together primary and secondary resources from across the country to provide educators with a diversely resourced local history study. Providing links, lesson ideas and activities from across the national curriculum the pack is a fantastic resource for learners from Primary to Further education and everything in-between! Download the learning pack here. You can find out more at the Eighth in the East website under Education & Learning. Visit www.8theast.org for more information.